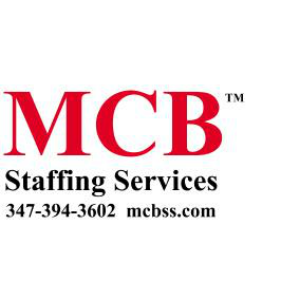 MCB Staffing Services provides recruiting, temporary staffing, direct placement, consulting, and outsourcing solutions. Call MCB Staffing Services at 1-347-394-3602 today. Executive Search: MCB Staffing Services places senior level, middle management and professional candidates on a contingency or retained search basis. Temporary Staffing: MCB Staffing Services provides temporary staffing to small, medium, and large companies. Call Joseph Bernard at 1-347-394-3602 today.